An itch in the inner ear can be very annoying, and might stem from a variety of causes. In most cases an itchy inner ear is not serious, but this symptom can be a bit difficult to treat. Before you start digging at your ear canal with your fingers, Q Tips or a small object, find out what is causing the problem so you can get treatment that is safe and effective. Having the proper amount of wax in the ear is essential to avoiding itchiness and discomfort. If you have too much wax in the ears it can cause decreased hearing. Your doctor can remove this wax to help alleviate your symptoms. If you do not produce enough wax in your ears the skin may become irritated and dry. This is particularly common in swimmers. Applying a drop of olive oil inside the ear with a cotton swab can help to alleviate discomfort. Those that have seasonal allergies may see itchiness in the ear as part of their symptoms. During an allergic reaction, the body releases histamines that can cause watery eyes, itchiness or sneezing. Taking an antihistamine can help to reduce symptoms. Fungal infections can cause your ears to become irritated or itchy. Swimmers or those regularly exposed to moist conditions are particularly prone to this problem. Keep your ear canals as dry as possible and use anti-fungal medication when these symptoms arise. Those that have skin conditions such as seborrheic dermatitis, eczema or psoriasis can experience the same symptoms in their ears. Psoriasis in particular can cause problems because the scaling associated with this condition may reduce hearing. Seborrheic dermatitis or eczema that is severe may be relieved with steroid drops or cream applied in the ears. In some cases bugs may travel into the ears while you sleep, leading to itching, buzzing and irritation as the bug attempts to leave. 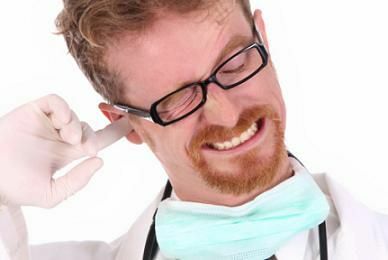 Irrigating the ear can drown a bug to remove it from the ear, but if this idea makes you nervous or is ineffective a doctor can help remove a bug effectively. Swimmers are at a high risk for developing itchy inner ears. Water contains fungal contaminants and other germs that can cause an ear infection, especially if the skin inside the ear has become damaged or broken. Swimming may also leave excess moisture in the ear which can lead to eczema. You should not be placing a Q Tip inside your ear, but if you constantly battle ear wax and debris building up in the ear you should find a way to keep them clean. Q Tips are not ideal for this purpose because they can damage the sensitive skin inside the ear which can increase your risk of infection. If more water is in the air it increases your risk of infection, particularly fungal infections which are known to thrive in humid conditions. Regularly applying products such as hair dye, bubble bath, shampoo, hairspray, shower gel or styling gel to your skin and hair could lead to itchy ears. If these products wash inside the ear canal during a bath or shower it can irritate the skin and make it sensitive. Oil Drops. You should not try to scratch your inner ear as this can cause more damage and irritation. Instead, place a few drops of warm vegetable, olive or mineral oil in the ear to get relief. Place the oil container is a glass of warm water for 15-20 minutes and then test them on your wrist before applying them to the ear to ensure they will not burn. Water and Alcohol. A bulb syringe or ear syringe can be used to apply a water and alcohol solution into the ear to kill off bugs or flush away debris. You can also use a syringe to drain fluid from the ear if necessary. Soften Wax. If wax buildup in the ear is causing pain or itchiness, you should not try to remove the wax with a foreign object. Instead, warm a wash cloth or water bottle and lie down with this object placed over the ear. This will help to soften the wax and allow it to slide out of the ear canal. Once you can see the wax, gently use a cotton swap to wipe it away, so long as you do not insert the swab into the ear canal. Keep Ear Dry. Keeping your ears dry will reduce your risk of irritation. Wear a swim cap during swim sessions or showers. Ear plugs can also be helpful in keeping water out of the ears. After a shower you can also use a blow dryer on the ears for a few seconds to remove moisture, but use this on a cool setting to avoid burning the tissue. Peroxide. A peroxide rinse can help to remove excess ear wax from the ears. Simply pour a small amount of peroxide in the ear and then tilt the head so it can run out again. Taking the right precautions can help you avoid itchy inner ears. Use Cotton Ball. When you are in the bath or shower, place a piece of clean cotton wool in the entry of the ears to keep bath products and water out of the ear canal. Do not push the cotton too deeply into the ear because this can lead to irritation. Avoid Chemical Irritants. Actively work to keep chemical irritants, bubble bath, shampoo shower gel or similar products out of your ear. Never Put Anything Hard Inside. The skin inside your ears is very sensitive, so you should never put a hard object inside your ear that could damage or irritate the skin. Wear a Hearing Aid. After showering, wait until your ear canal is dry before putting in a hearing aid or any other device that you wear inside your ears such as ear plugs or headphones. If you have an infection or persistent itch, try to avoid wearing these items at all until it has completely cleared. Reduce Your Exposure. Those that suffer from allergies to pollen or dust should reduce exposure to these substances whenever possible. Use antihistamine products to reduce your symptoms.